We had friends over today for a “summer” barbeque (cardigans and jeans were worn, it was not a summer BBQ like some people might picture!). 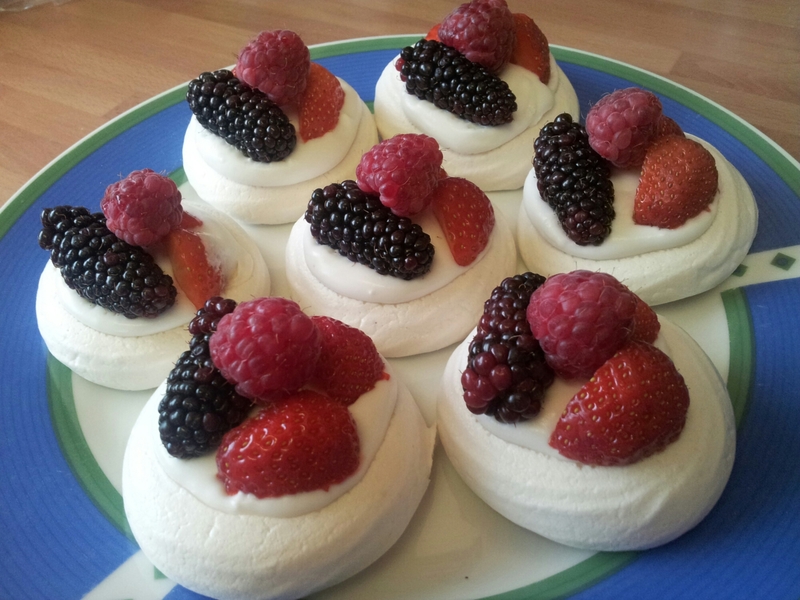 So I decided to add to the summery feeling with some individual summer fruit pavlovas. These were easy but fancy looking little desserts that went down very well with everyone (we all had more than one!). Unfortunately they had to be assembled right before serving though as the coconut cream did start to dissolve the meringues, so if you decide to make these then make sure to leave yourself a few minutes for assembling! *this time I used a tin of 3 bean salad. Interestingly the aquafaba from this tin was much thicker than from chickpeas or butter beans, and it also took much longer to whip up. But it still worked and gave a lovely, thick mixture. To make the meringues: Preheat the oven to 100 degress Celsius. Add the aquafaba and vinegar to a non-plastic bowl and whip until you have stiff peaks. Slowly add the sugar a spoonful at a time, waiting until the previous spoonful is completely combined before adding any more. When all of the sugar is incorporated and there are glossy, stiff peaks, add the vanilla extract and mix it in. 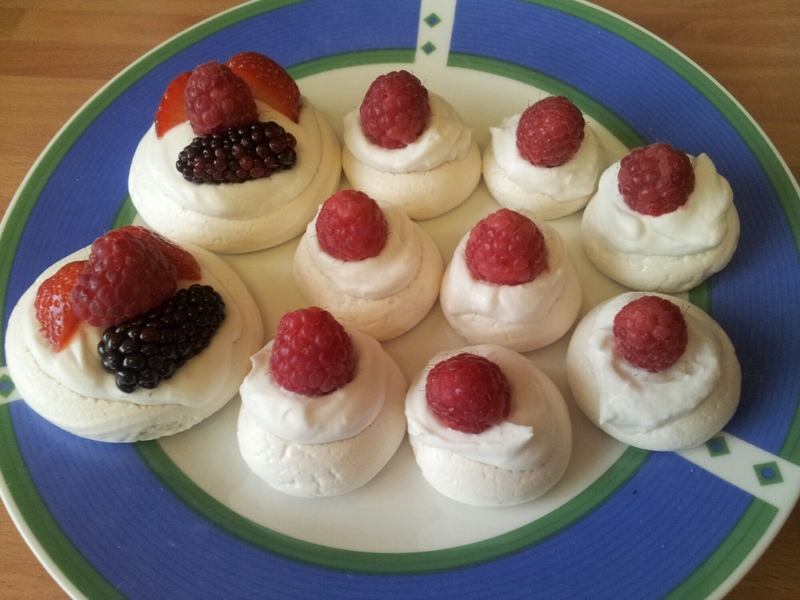 Line a baking tray with parchment and pipe the mixture into meringue nests, or kisses for bitesized pavlovas. Place in the centre of your oven and bake for 90 minutes. Once baked turn off the oven and leave the meringues inside to cool for a couple of hours until they are completely cold. To make the whipped cream: Chill the coconut milk in the fridge overnight, this will cause the contents of the tin to separate into the solid cream, which will float on the top, and the water underneath. Carefully spoon out the solid cream into a bowl, trying not to pick up any of the water as this will affect the consistency of your whipped cream. Add the icing sugar, then using an electric mixer whip your cream to the desired texture making sure you don’t leave any lumps.